If you haven't been able to find the time to fight your way through Darkest Dungeon, an upcoming update will help with that. Darkest Dungeon is one of our favorite games of 2016, but we know that it can take quite a bit of time to get all the way through it. Some gamers have taken as much as 80 hours to finish it up. If you don't have that kid of time to devote to a game, Red Hook Studios has announced plans for a new game mode that will shorten that time commitment by about 50 percent. The announcement came alongside a new patch that was released yesterday to add controller support and other features from the console version of the game to the PC version (you can see all the changes in that patch here). The new game mode is called RADIANT, and it will feature "balance changes and rule tweaks" that Red hook says will bring game completion time down to around 40 hours. For those of you that worry that this might dilute the game experience, Red hook says, "Rest assured that even in this alternate campaign ruleset, we won't be compromising on some of the core ideas that make DD what it is (e.g. permadeath, autosaving). However, we will flex here and there on some things and generally structure it so that a reasonable investment of time and effort can see things through to the deepest parts of the Ancestor's trail. This also paves the way for additional modability, via exposing more options." It's worth noting that some achievements and even some loot will require you to play in normal mode to obtain. Also of interest is the news that the developer is working on adding Steam Workshop support to the game. In fact, the post asks for dedicated modders to reach out to the Red Hook team if they are interested in being part of the closed testing. 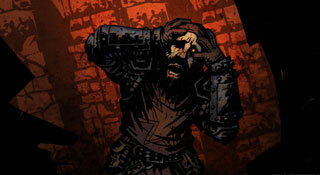 Finally, Red Hook adds that if you haven't picked up Darkest Dungeon yet (Why not?!? ), you should keep an eye out for some sales coming up over the next couple of weeks. I hear there's one starting tomorrow. It's a terrible game. Way too long, way too much grinding, too simplistic, too repetitive. Less repitition and less RNG and it would have been great. Still one of the best looking indie titles that came out of kickstarter and a setting that is sadly underrepresented in todays gaming landscape. Shorter Version makes so much sense. Only reasons I stopped played were to wait for free updates and because the game is too long for what it is.